The second date is a date from the future! Marty McFly would be proud. Which doesn’t seem to be the case, but I’m unsure this allows you to do much you couldn’t do based on User-Agent / IP, but perhaps does allow you to do it with some plausible deniability! If you want to reach me hit me up on Twitter @TomAnthonySEO or at Distilled. 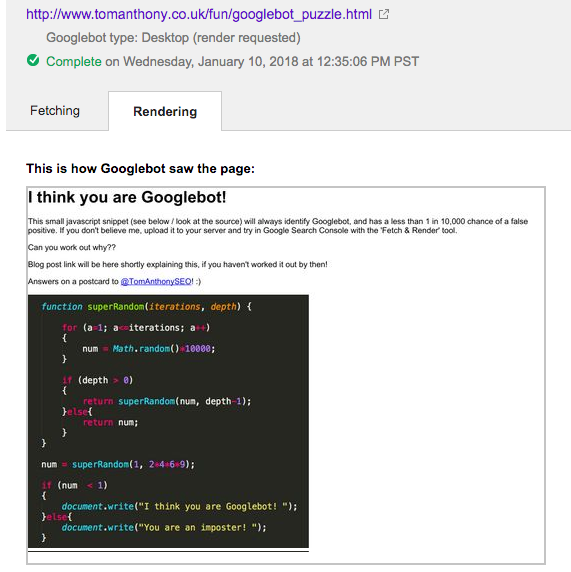 What a neat trick to detect Google bot. Had you time to test anything like that? 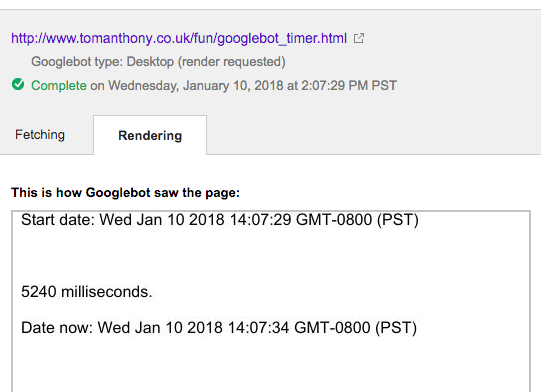 How all this is linked to SEO ? I’m not sure I’ve understood, very technical articles. I’m a little confused as to how anyone would use this information? I don’t understand what your concern is. Any pseudorandom number generator must be seeded. If you don’t seed it, it will have a default seed. Running the generator with the same seed multiple times will produce the exact same sequence of numbers.